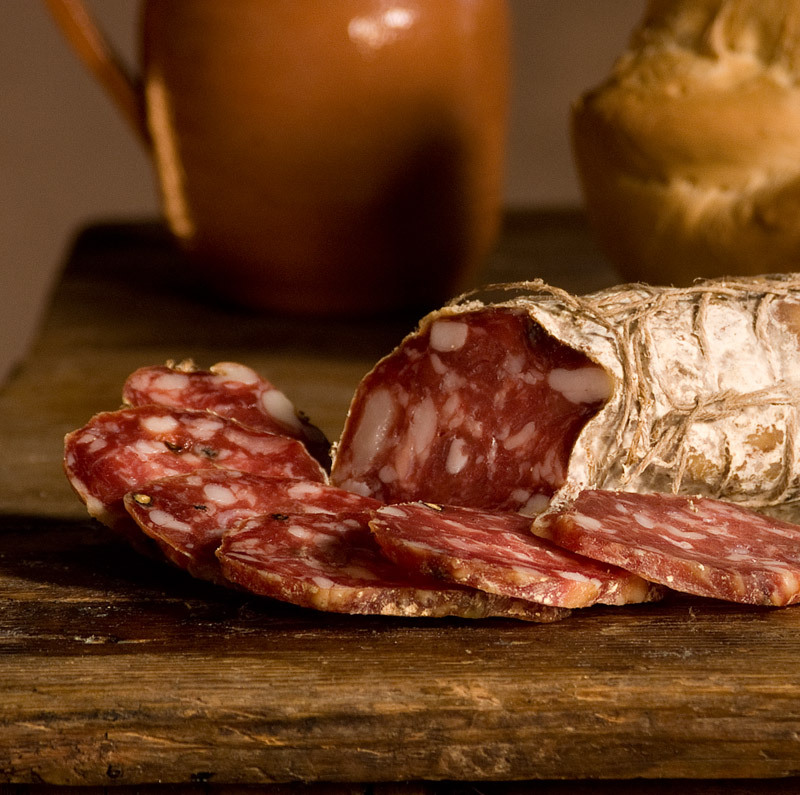 According to the tradition, the Salame di Varzi PDO was present on the tables of Malaspina dello Spino Secco lords (Varzi Marquises), a noble, feudal family who settled down in Staffora Valley since 11th Century. 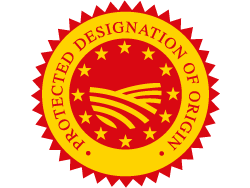 The Salame di Varzi PDO production process Regulation prescribes that pork meat must belong to Italian specimens raised both in the production zone and in other typical swine vocation territories of Lombardia, Emilia Romagna, and Piemonte regions. Pork meat cuts used are picnic shoulder, loin, tenderloin, blade, belly and premium quality minced meats. The mixture for salting stage is made up of sea salt, sodium, black pepper, garlic infusion, and filtered red wine. Tying is realized with close-mesh string. The curing stage duration depends on the animal’s sizing, in fact, goes from 45 to 180 days. One of Salame di Varzi PDO characteristics is the coarse texture grinding. The product dimension and weight can be subjected to variations (it can also be 2 Kg heavy), taking every time a different name: “filzetta,” “filzettone,” “sottocrespone” and tailored with a double casing. When cut, the Salame di Varzi PDO is compact and bright red, while the fat is white. Its characteristic aroma is fragrant and depends on how long the curing stage was. It is sweet and delicate at the taste. It perfectly matches with melon, figs and “miccone,” a traditional kind of bread from Oltrepò Pavese. As for wines, Bonarda O.P. DOC and spumante Cruasé DOCG are the best choices. According to the tradition, the tribe of Langobardians spread pig farming to better take advantage of pastures and woods. Langobardians represented Medieval Northern Europe; they were great eaters of meat, especially pork one, which they were able to transform into tasty cold cuts they made aging in the low Appennino area.